﻿ Best Price on Casa Luna Hotel & Spa in La Fortuna + Reviews! Just outside Arenal Volcano National Park, this eco-friendly hotel features an outdoor pool, a spa and a grill restaurant, surrounded by tropical gardens. Rooms have views of the volcano and rainforest. Each air-conditioned room at Casa Luna Hotel & Spa has a balcony, cable TV and free Wi-Fi. All rooms include a minibar and coffee maker, and bathrooms feature a hairdryer and a safety-deposit box. The rustic-style Luna Grill restaurant serves a varied menu of steaks and pasta dishes, as well as fresh juices, cocktails and international wines. 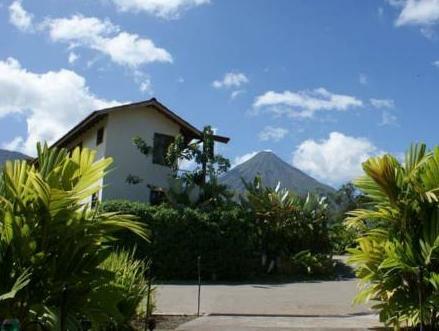 It offers fantastic views of the Arenal Volcano. Casa Luna Hotel & Spa is an ideal spot for bird watching and enjoying nature. The Rio Fortuna Waterfall is just under 1 mile away, and the Arenal Volcano and Lake are 9 miles away. The property also has laundry services, as well as free Wi-Fi, a tour desk and private parking.